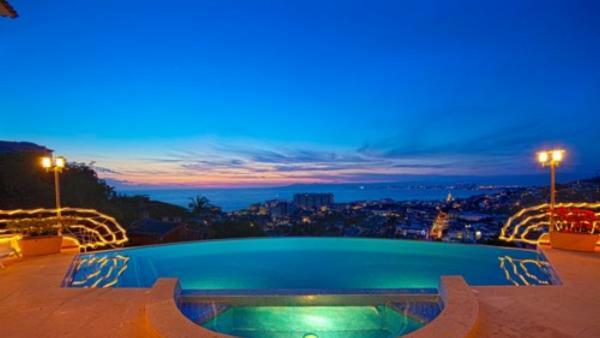 Fronted by the Pacific Coast and the magical shorelines of Bahía de Banderas, Puerto Vallarta is a premiere Mexico vacation destination that appeals to affluent travelers desiring upscale and beachside living. 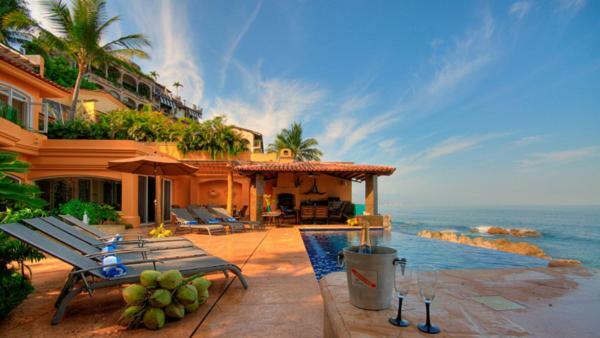 With luxury villa rentals overlooking a sparkling ocean vista and private vacation homes that line pristine beaches, well-off vacationers flock to Puerto Vallarta every year to experience its beautiful environment and year-round sunshine. 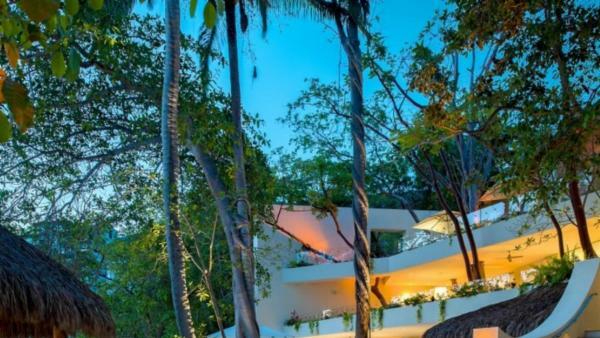 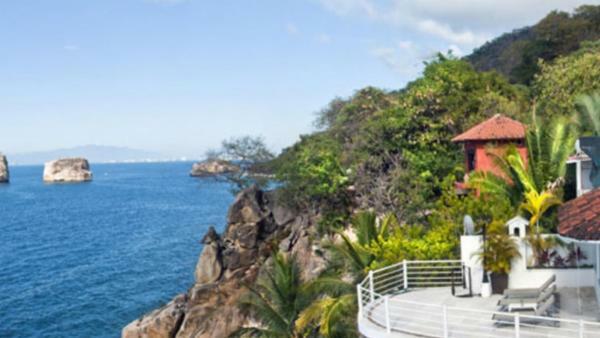 This famous Mexico resort town has long attracted honeymoons launched in seaside private villa rentals, destination weddings at the beautiful Vallarta Botanical Gardens, and even business retreats hosted at extravagant private vacation homes. 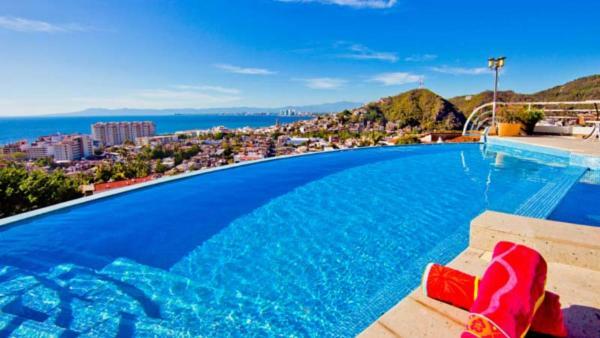 Whatever the reason for a Puerto Vallarta holiday, well-off travelers are assured their private villa rentals feature luxurious amenities reflective of an upscale retreat to a Mexico vacation destination. 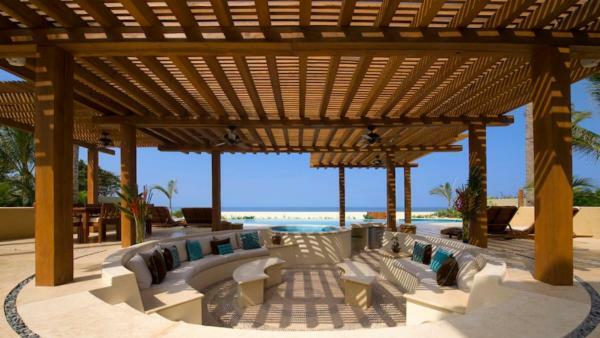 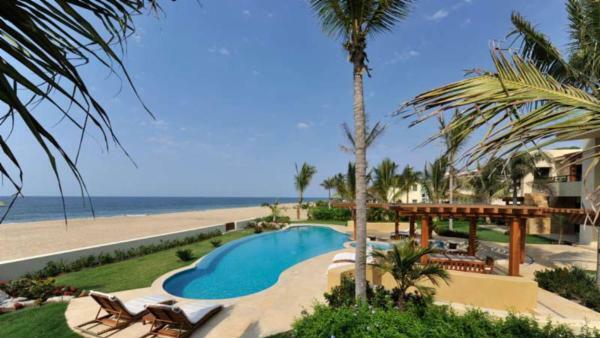 But besides the luxury villa rentals offering oceanfront settings and world-class amenities, there are a slew of reasons to visit this Mexico vacation destination. 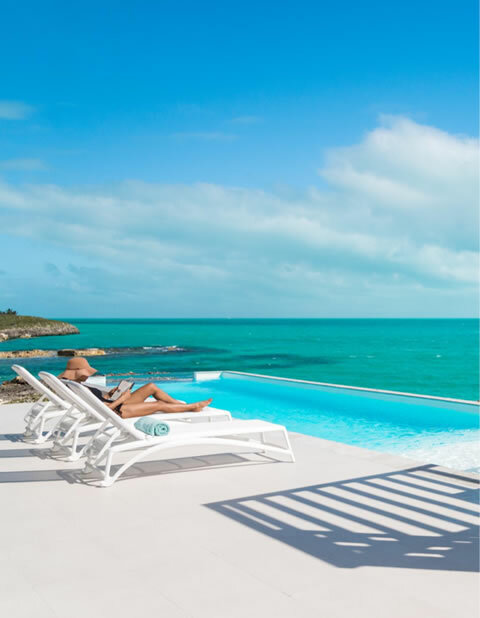 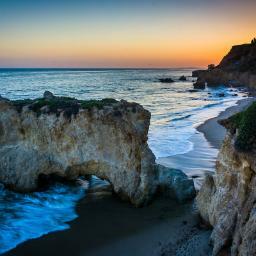 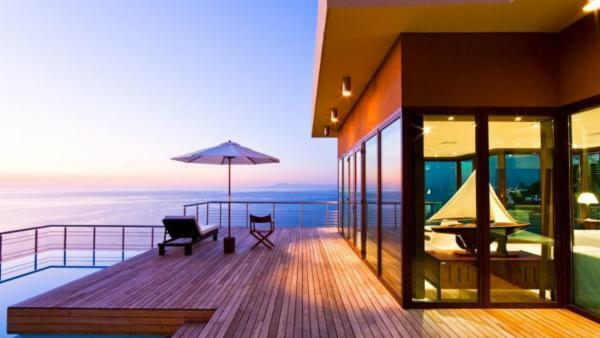 Affluent travelers quickly fall in love with the local populace, whose cosmopolitan disposition merges perfectly with a laid-back coastal lifestyle. 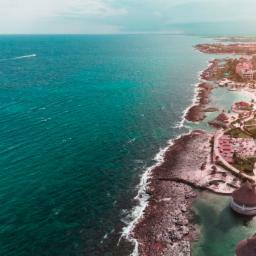 Meanwhile, an array of colorful festivals abounds throughout the year, igniting this picturesque Mexico resort town with a celebratory atmosphere to please locals and tourists alike. 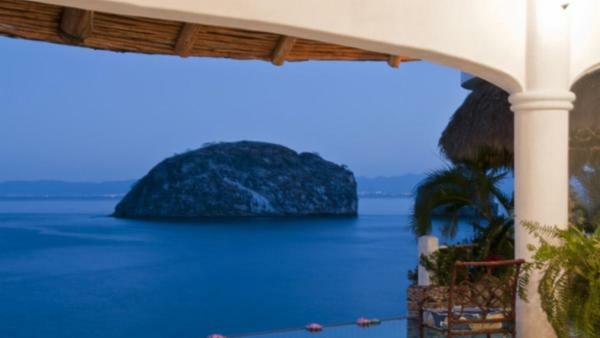 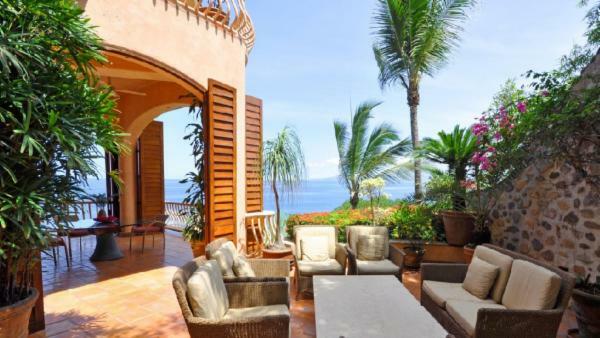 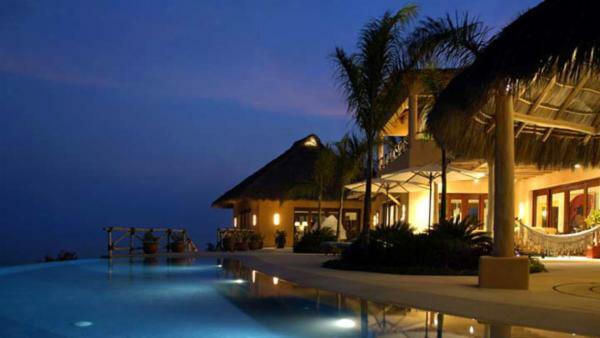 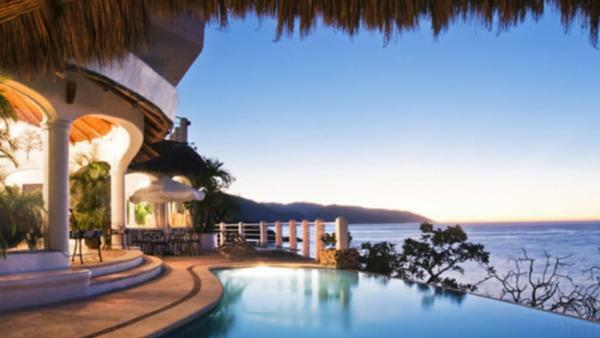 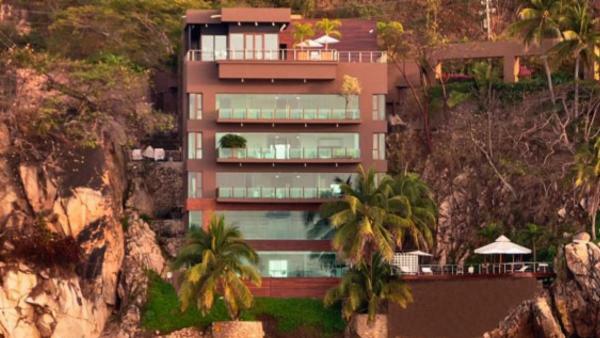 For the classic luxury vacation experience, head to Mismaloya Beach. 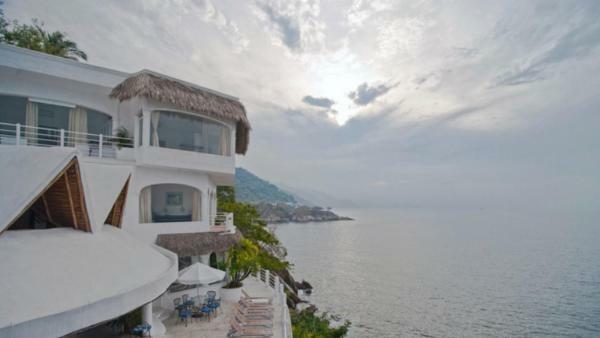 Once a quaint fishing village, Mismaloya birthed the Puerto Vallarta reputation as a Mexico vacation destination. 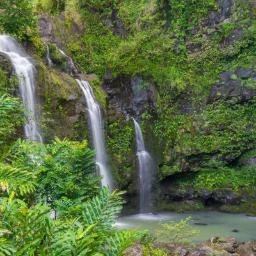 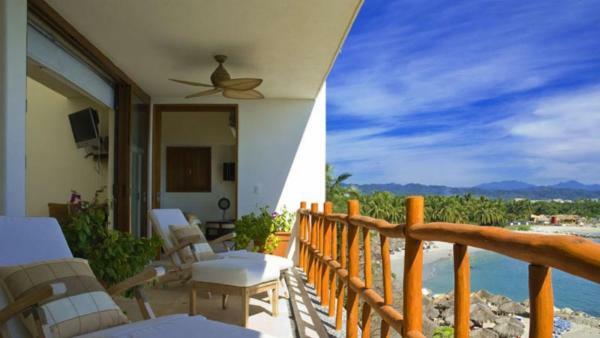 This pristine cove features golden sand beaches melting into Pacific Ocean and Mismaloya River waters. 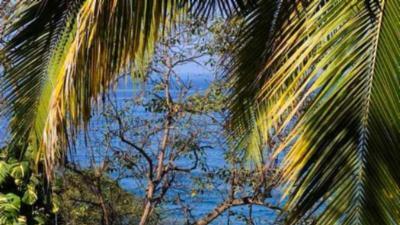 Framed by palms, jungle greenery and a majestic backdrop of the Sierra Nevada Occidental Hills, Mismaloya Beach pleases tourists and locals alike with its enchanting scenery. 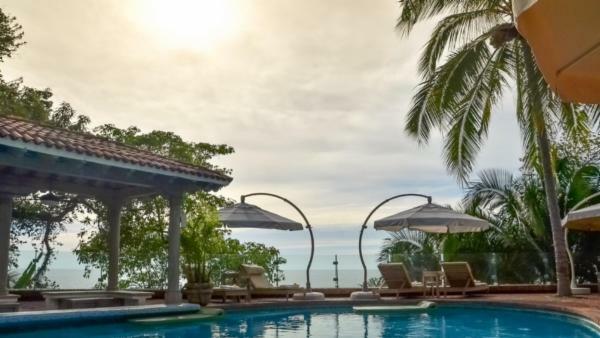 Travelers seeking ocean adventure sea-based daytime activities can launch scuba diving exploration, visit snorkeling sites, or water ski across the tranquil waters found here. 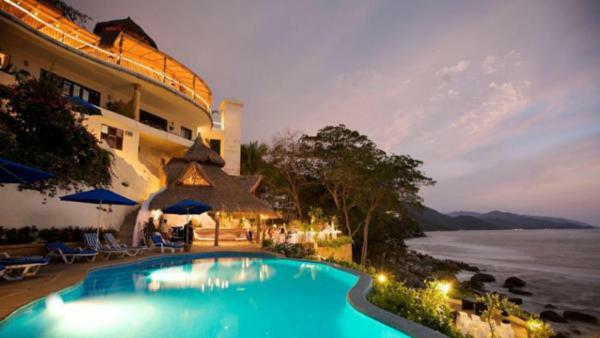 Meanwhile, the famed Puerto Vallarta landmark of Los Arcos sits just half-a-mile from Mismaloya Beach, and the surrounding Los Arcos Marine Park brims with diverse marine life for world-class snorkeling. 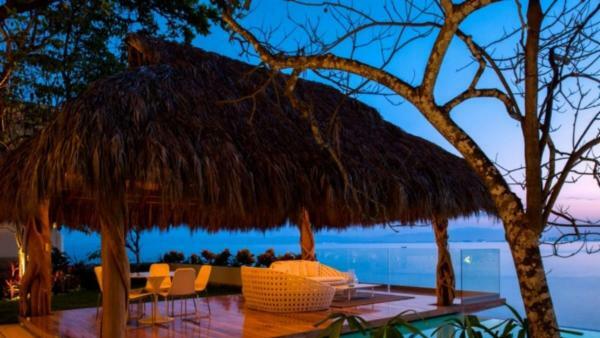 With such paradisiacal scenery, it comes as no surprise that the Mismaloya Beach area features upscale hotels and resorts catering to well-off travelers. 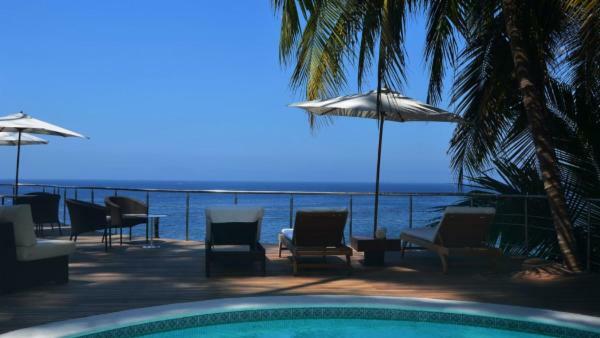 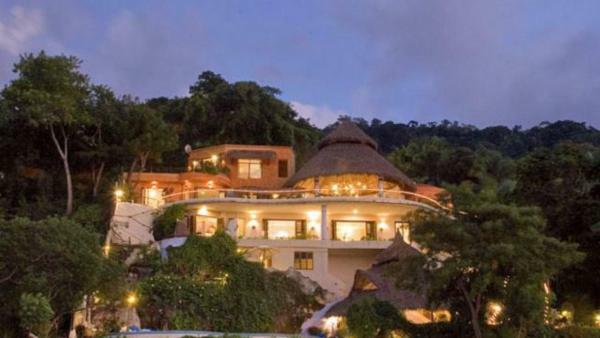 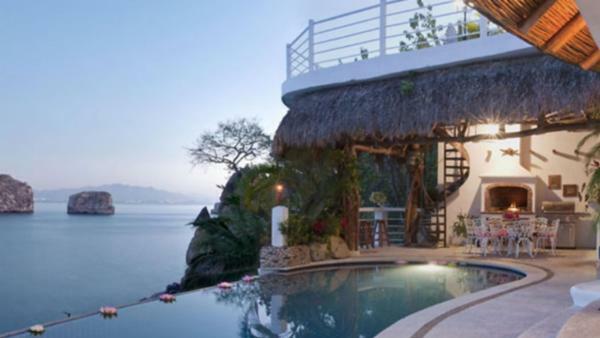 But for a quieter retreat, consider Mismaloya Beach’s nearby luxury villa rentals to experience a serene seaside retreat. 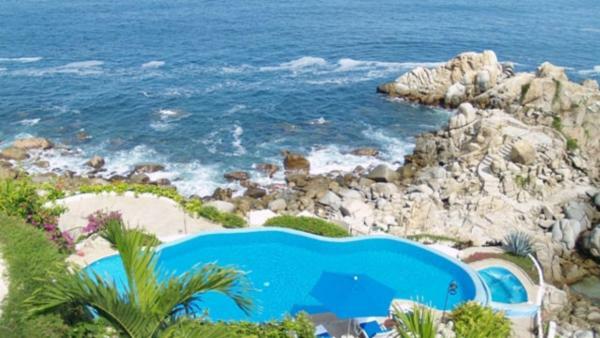 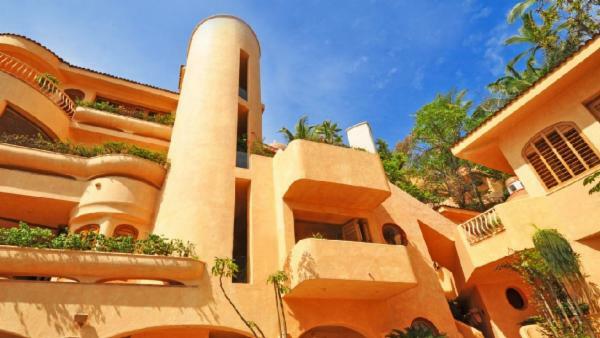 Families on a Puerto Vallarta holiday often choose to rent private vacation homes nearby Playa Concha Chinas, a small cove with rock-protected shallow waters that offer safe swimming for children. 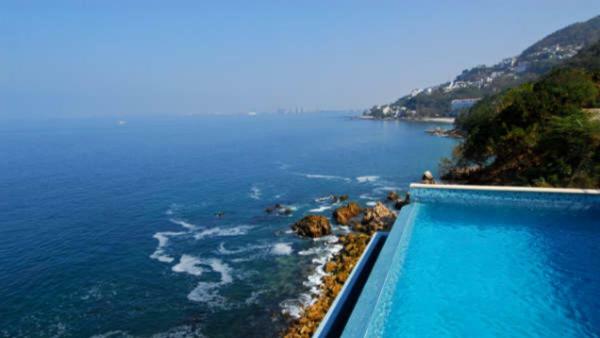 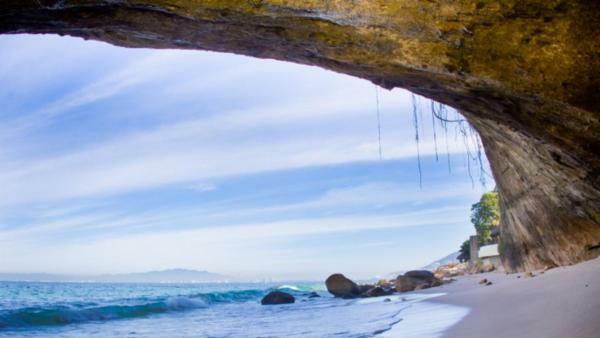 Playa Concha Chinas also allures sun worshippers to tan on secluded stretches of sand, honeymooners seeking romantic sunsets, and travelers exploring snorkeling sites in crystal-clear ocean waters. 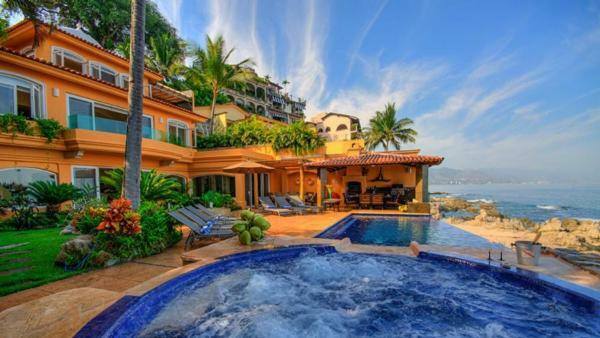 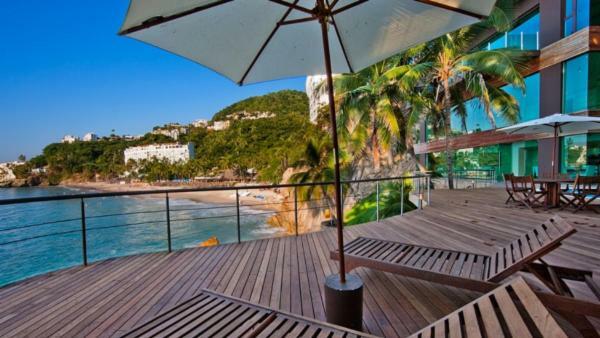 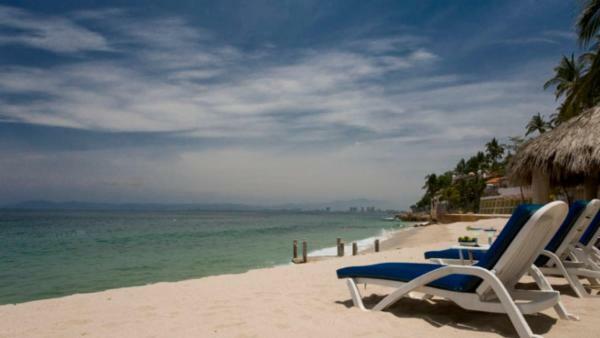 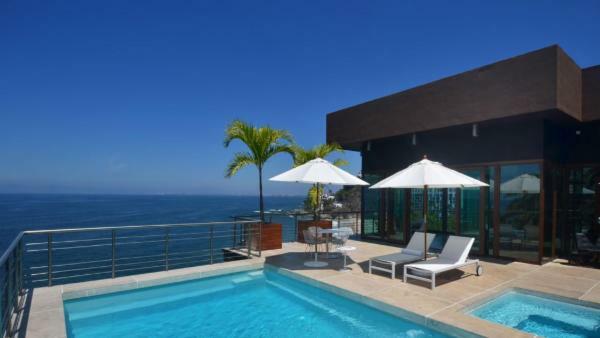 Meanwhile, affluent travelers residing in luxury villa rentals nearby downtown Puerto Vallarta can launch beach days at Playa De Los Muertos, whose vibrant and flavorful shorelines attract tourists alternating between daytime activities filled with both city and ocean exploration. 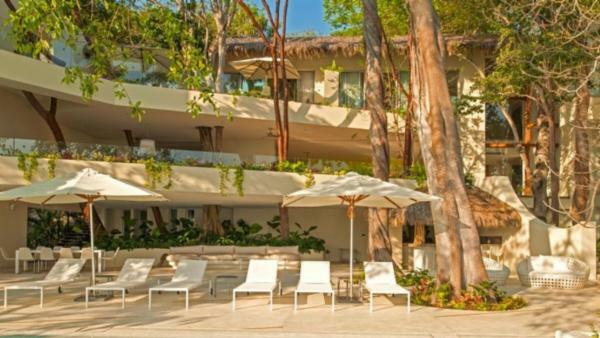 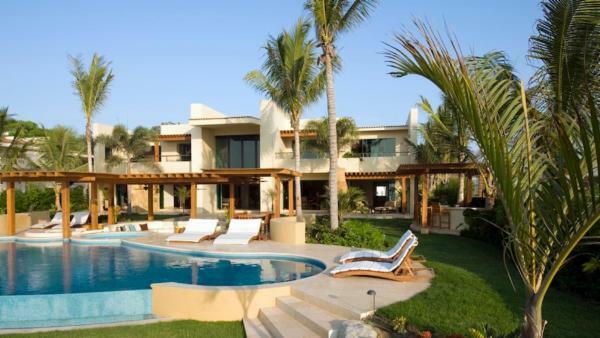 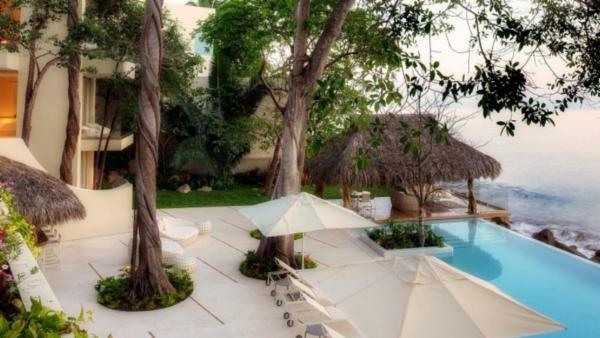 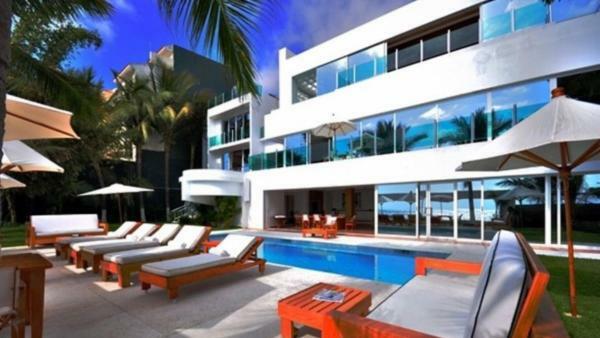 Affluent travelers renting the Central Zone’s private vacation homes also enjoy close proximity to Playa Palmares – a stretch white sand beach that meets crystalline waters to offer the classic complement to a luxury vacation experience in this renowned Mexico vacation destination. 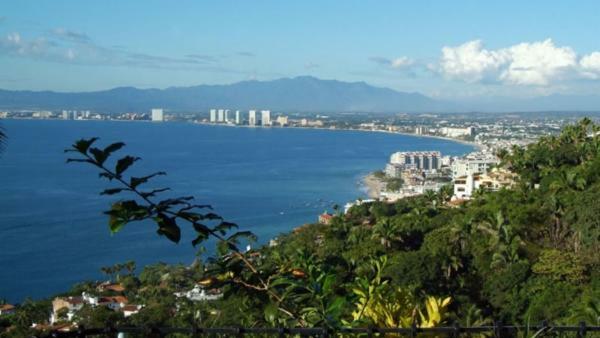 However don’t be fooled - the beaches aren’t the only nature-based attractions to please Puerto Vallarta tourists. 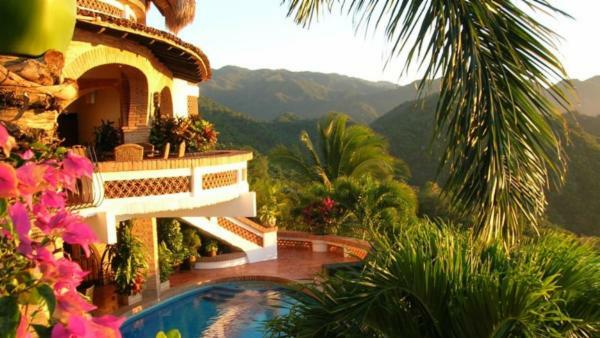 For luxury exploring the inland’s mountains and jungle grounds, horseback riding, guided cycling tours, and hiking are other popular Puerto Vallarta daytime activities. 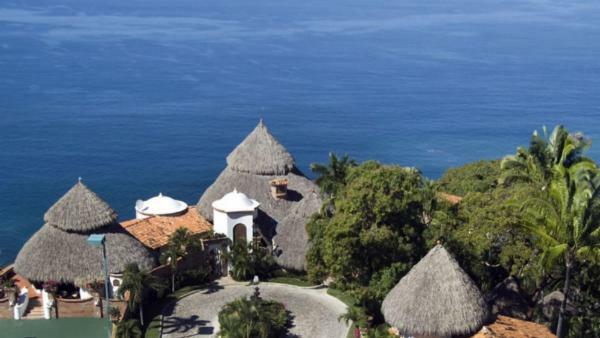 Spend a day exploring the Mexico resort town’s fish markets, upscale restaurants, and world-famous churches. 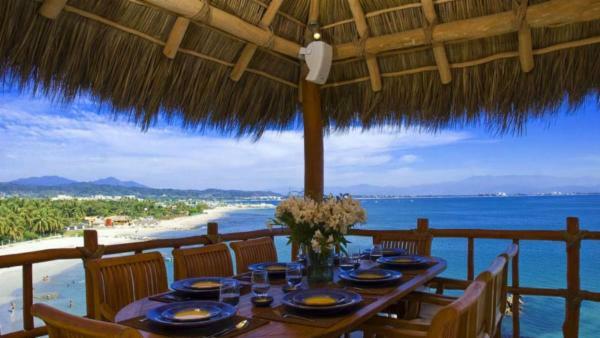 Affluent travelers seeking a luxury vacation experience filled with equal parts Mexican culture and paradise beaches book private vacation homes found in Zona Romantica. 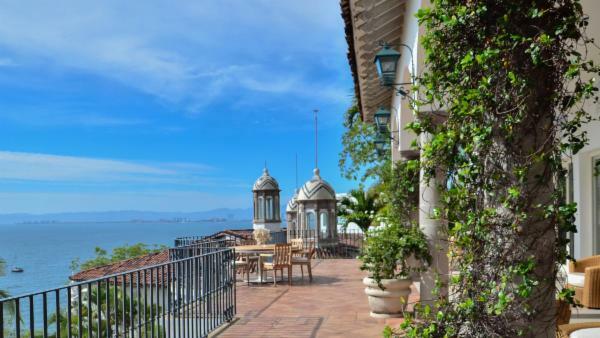 Also known as Old Town or Old Vallarta, the Zona Romantic pulsates with Mexican culture, from upscale restaurants to tantalizing street vendors, and refined art galleries to casual boutiques brimming with local treasures. 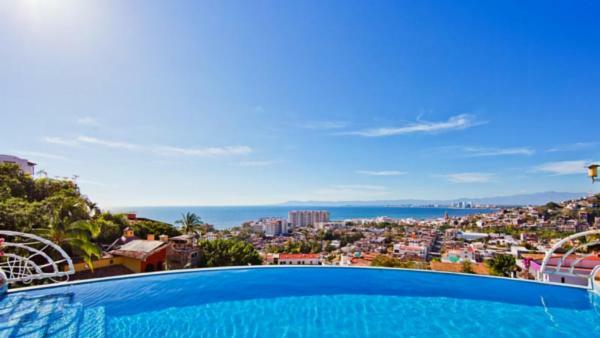 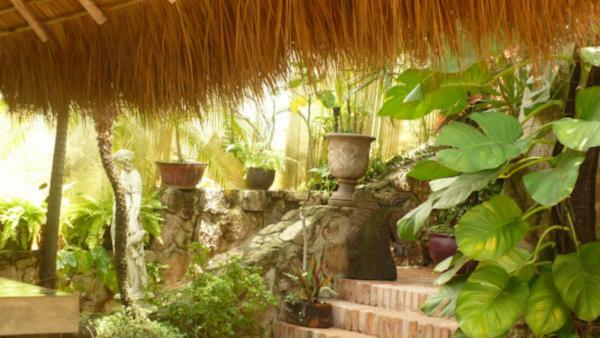 Meanwhile, many of Old Vallarta’s private villa rentals sit in walking distance to Los Muertos Beach, pleasing well-off travelers desiring ocean views. 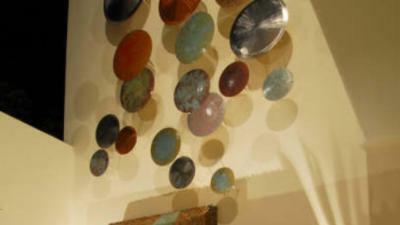 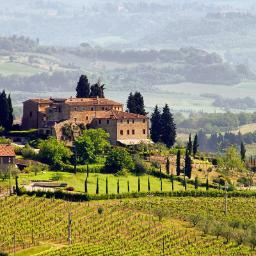 Looking to spend a day steeped in history? 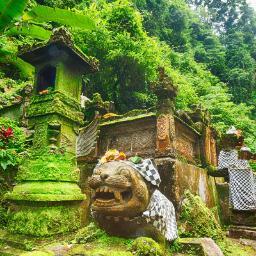 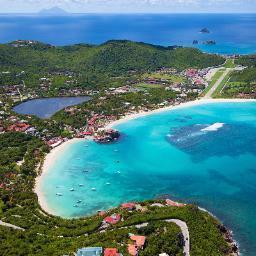 Visit the Templo de Guadeloupe – the town’s iconic cathedral. 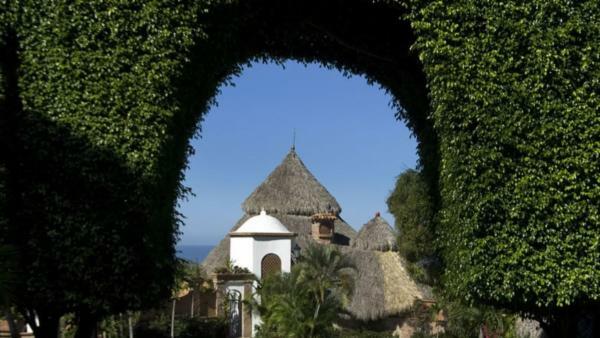 After daytime activities spent exploring Zona Romantica, tour the Vallarta Botanical Gardens, where a variety of native Mexican foliage creates an alluring tropical paradise. 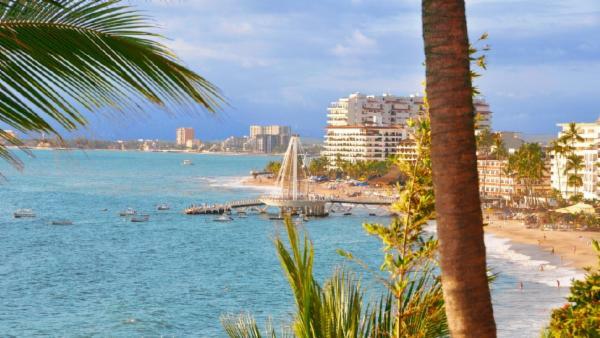 End the day with a walk down the Malecón boardwalk, calmed by a cool ocean breeze. 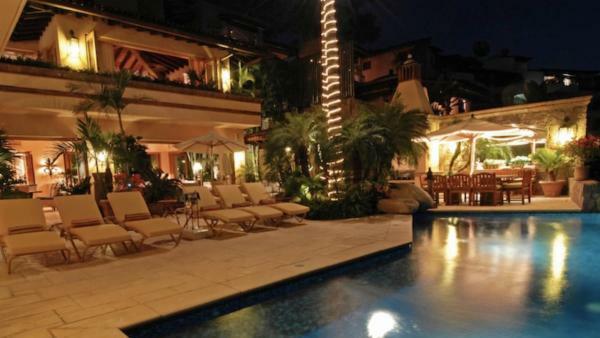 when the sun goes down, travelers will find continued activity that colors the streets outside their luxury villa rentals. 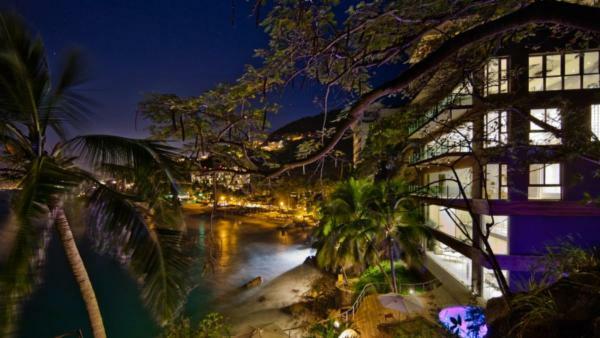 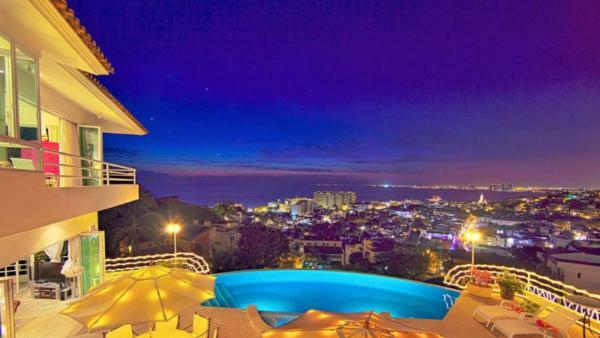 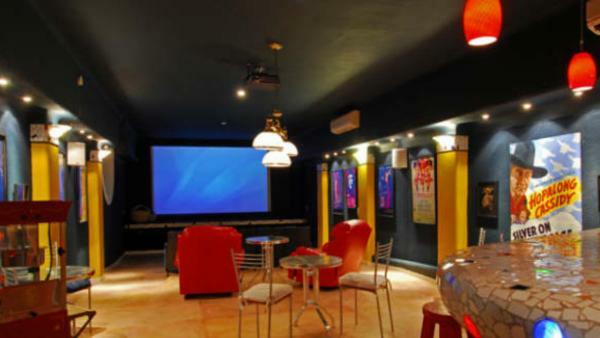 After dark, Puerto Vallarta transforms into one of Mexico’s most happening nightlife destinations. 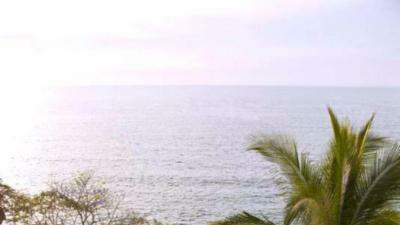 The Malecón area boasts lively street parties and celebrations, as well as numerous clubs for travelers exchanging nights of rest in private vacation homes for imbibing adventures. 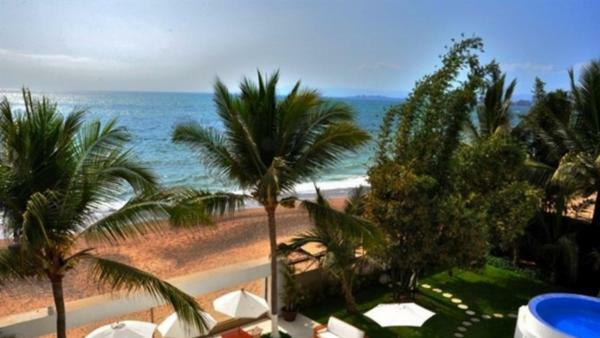 Many more casual bars, pubs, and beachside lounges abound in Puerto Vallarta, appealing to laid-back vacationers who prefer a quieter nightlife. 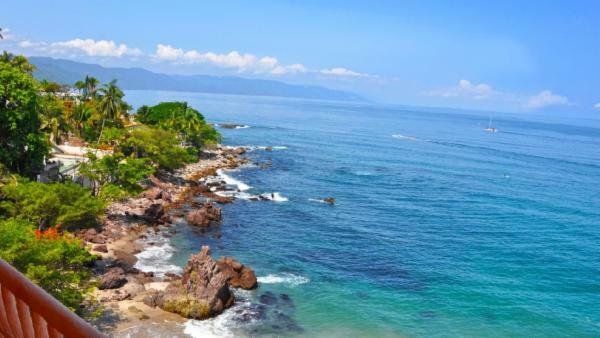 Between Playa Concha Chinas’ snorkeling sites, the Zona Romantica’s flavorful culture, the Malecón’s animated nightlife, and the whimsical paradise of Vallarta Botanical Gardens, it’s little wonder that Puerto Vallarta remains a world-famous Mexico vacation destination. 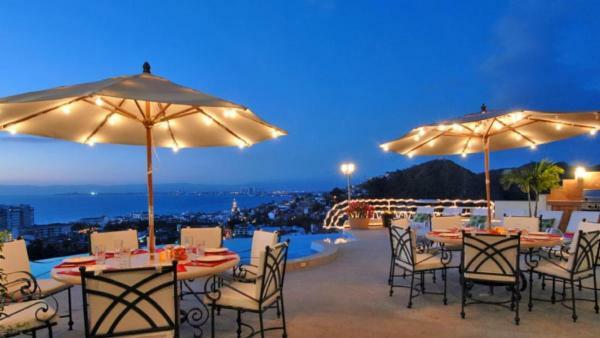 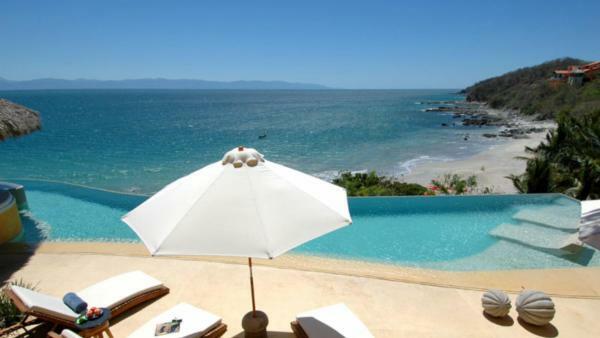 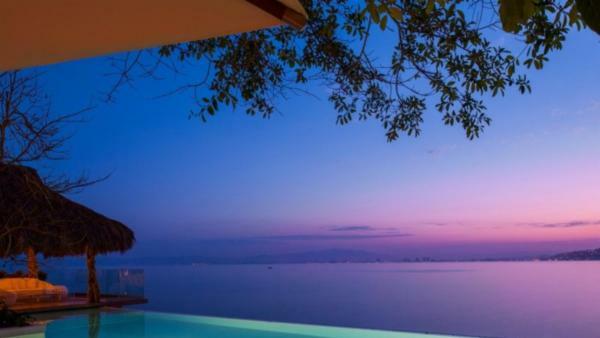 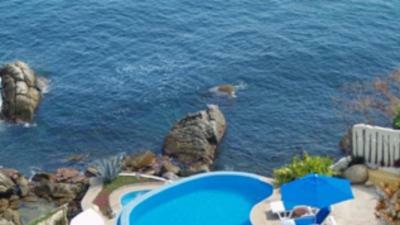 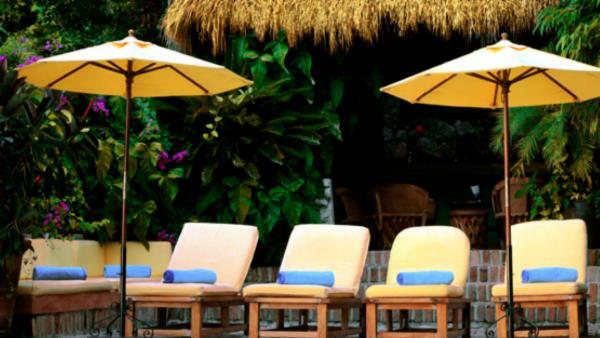 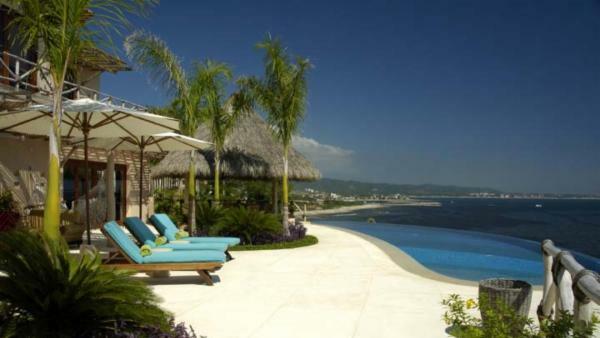 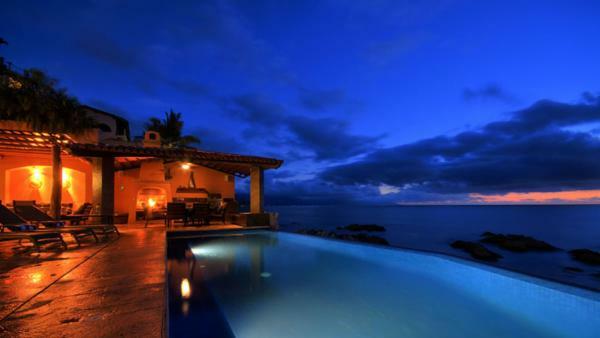 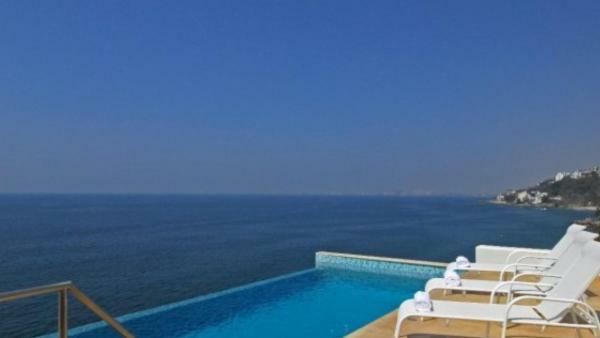 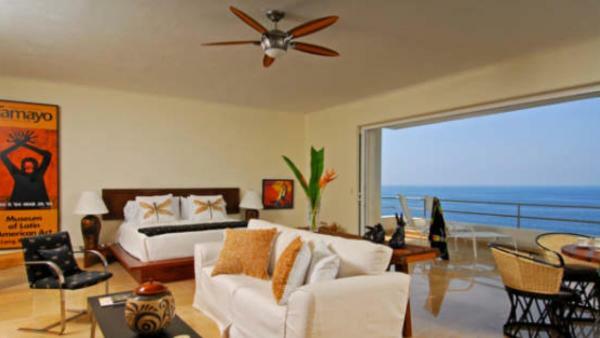 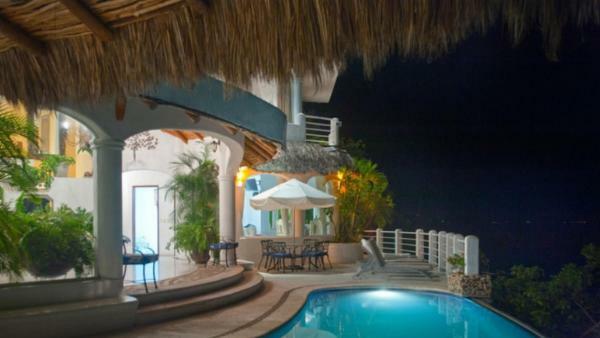 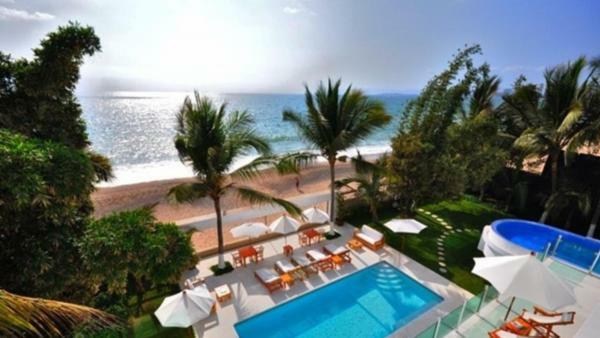 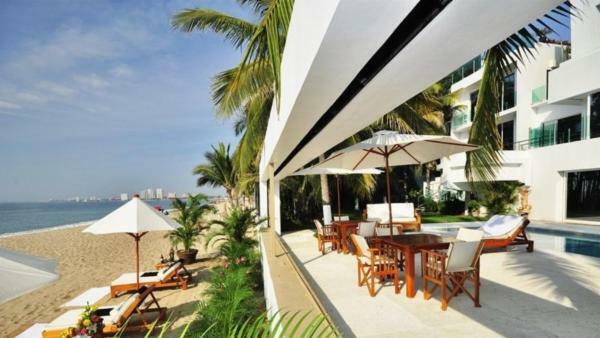 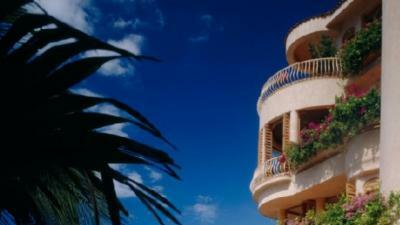 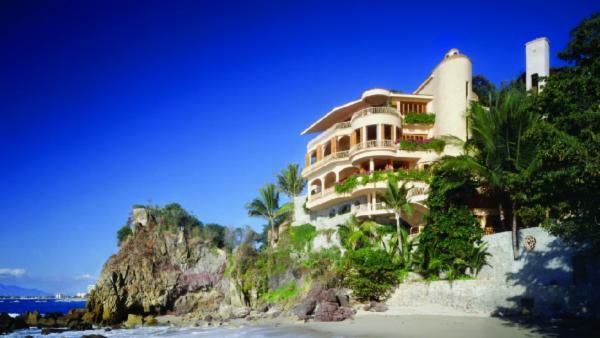 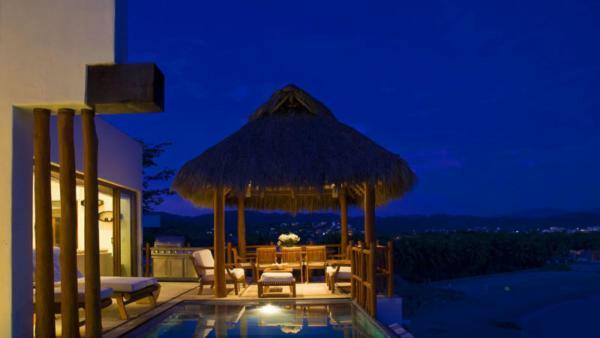 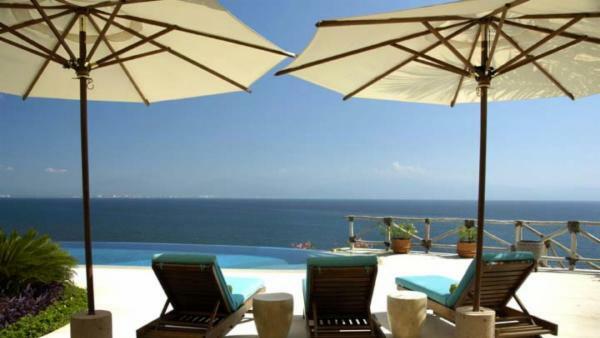 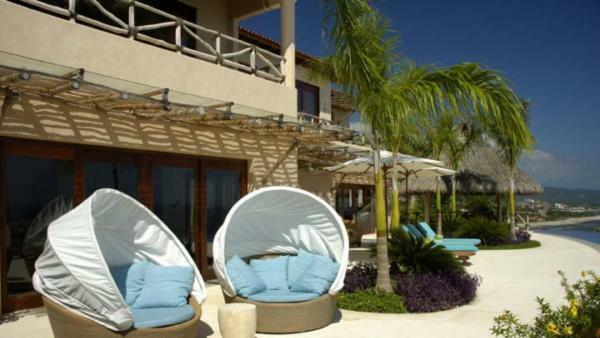 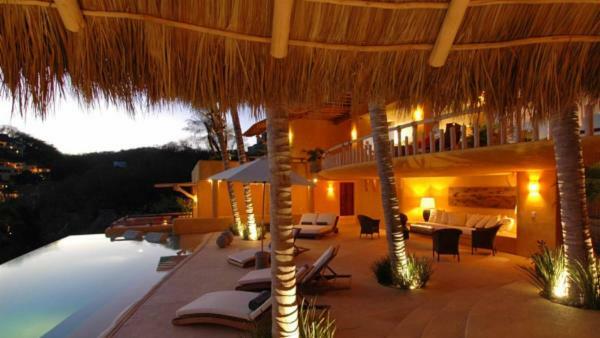 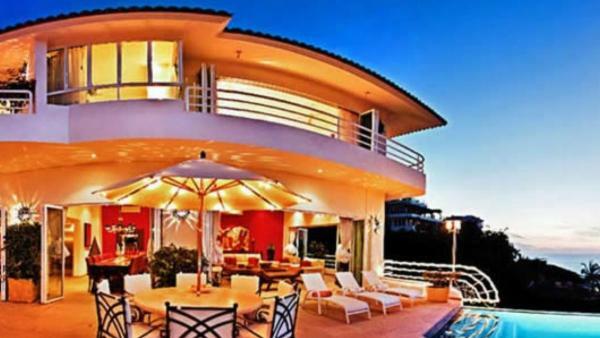 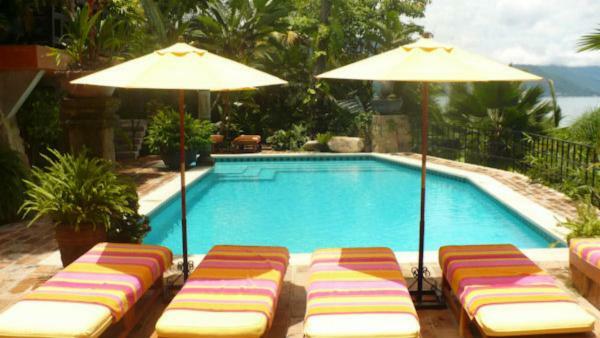 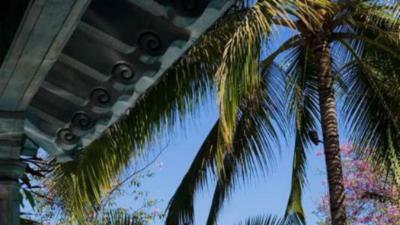 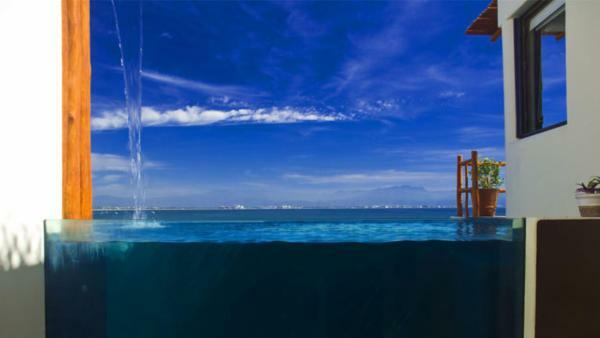 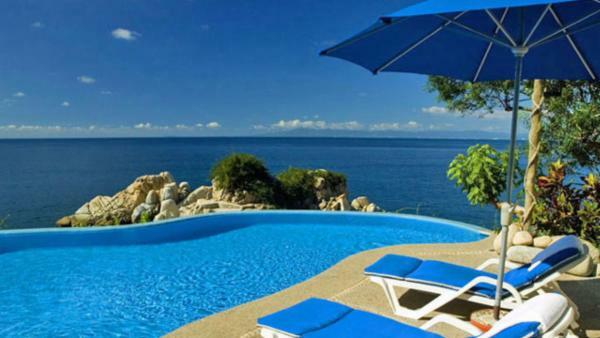 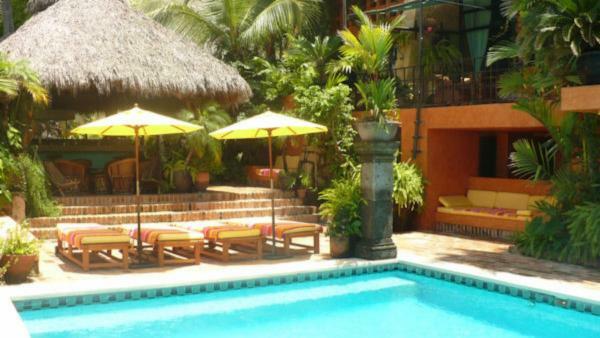 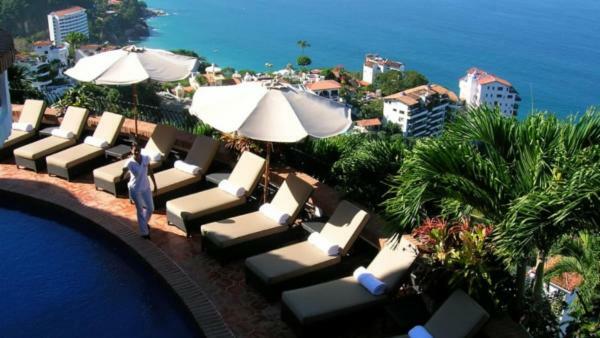 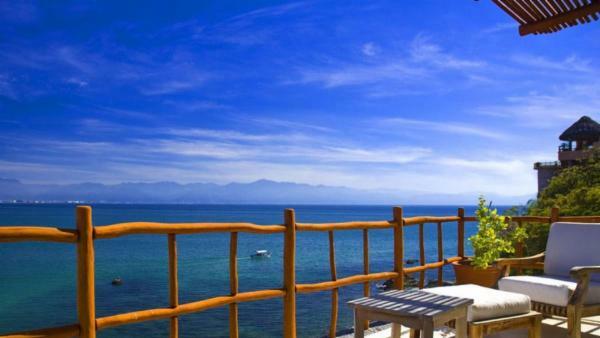 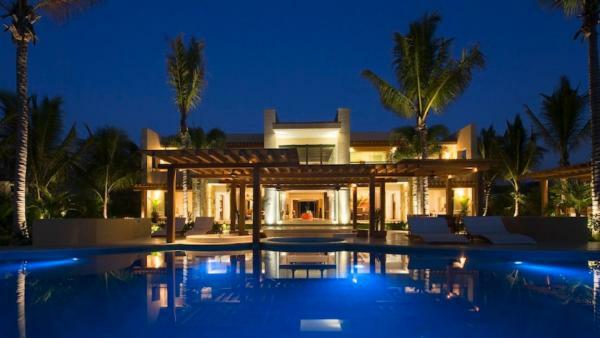 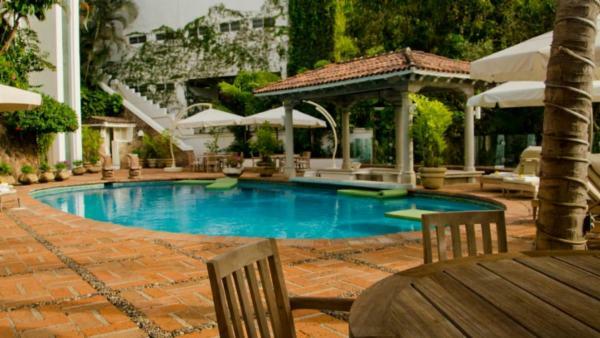 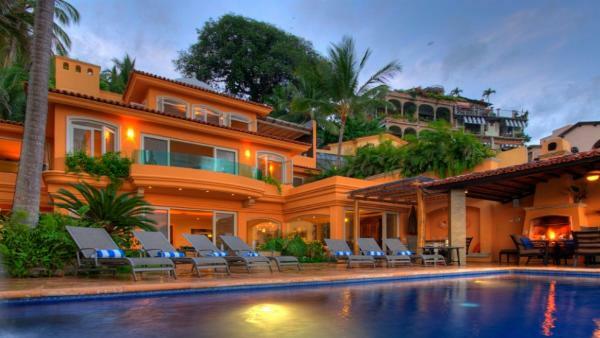 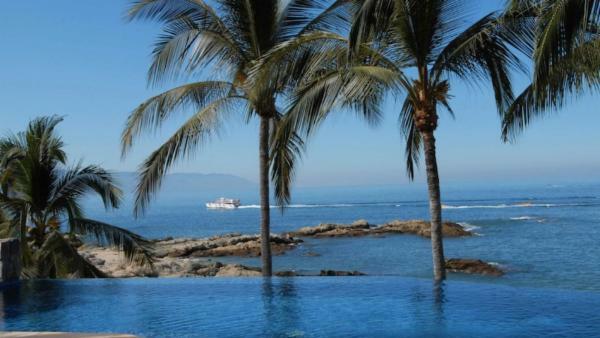 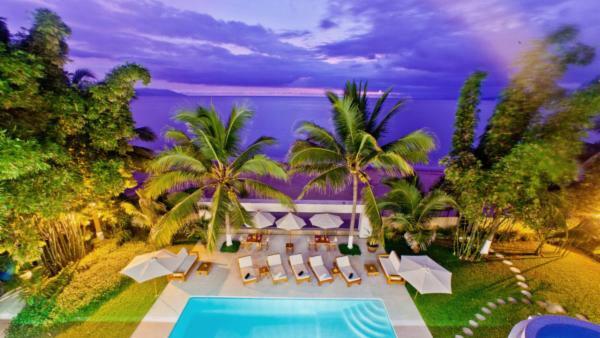 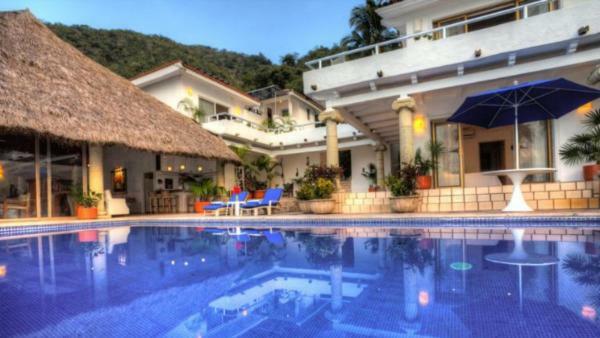 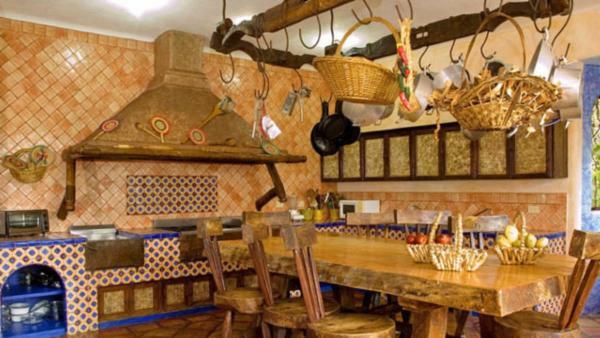 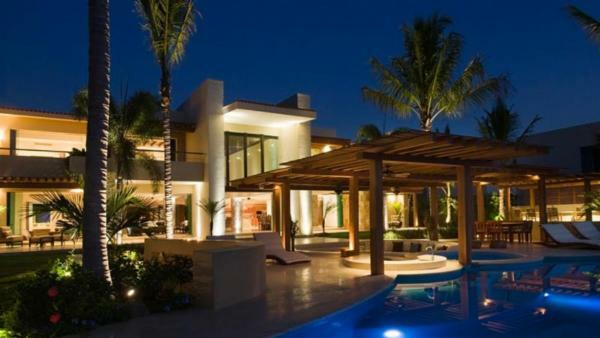 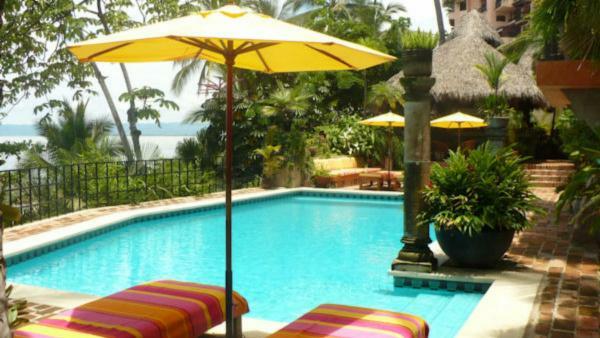 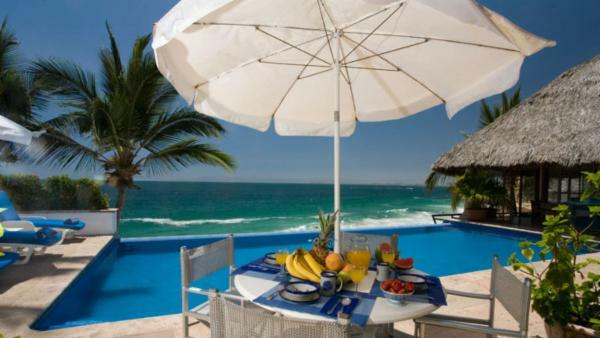 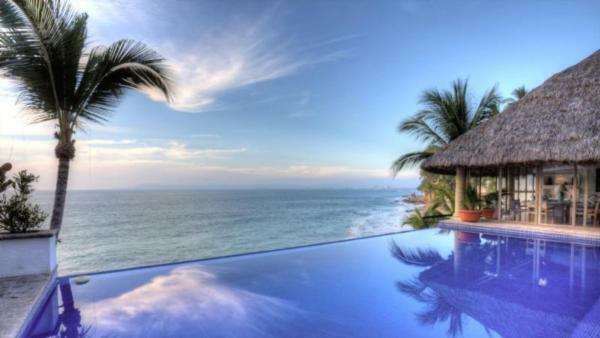 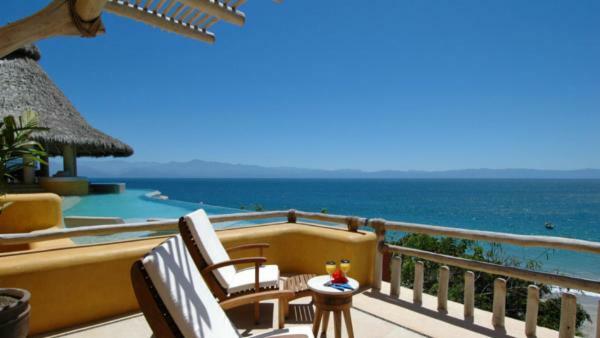 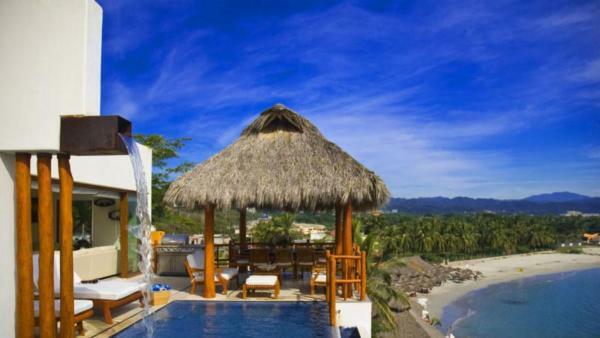 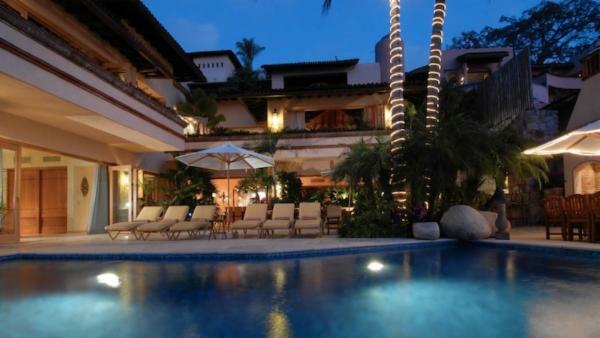 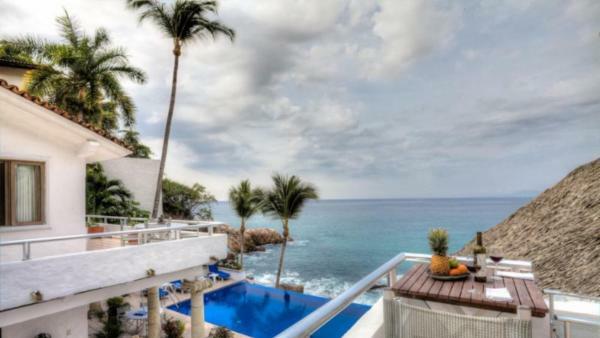 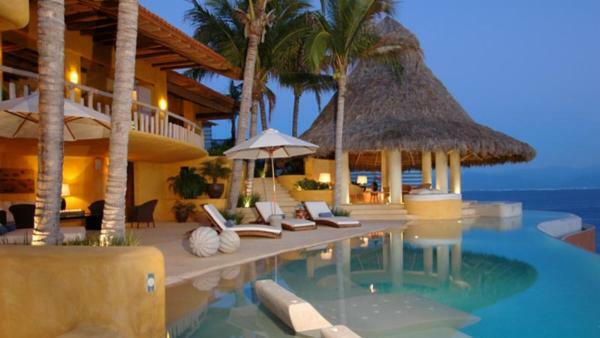 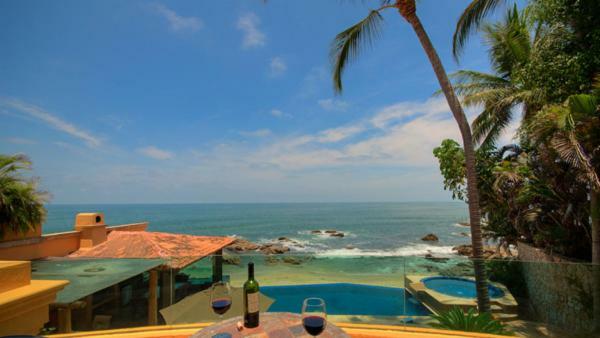 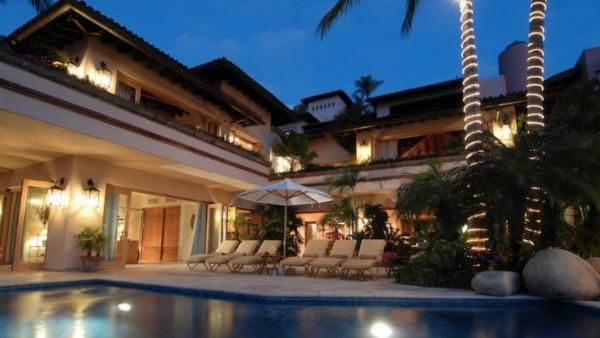 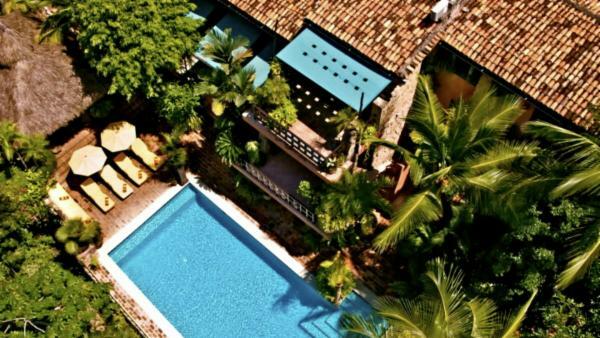 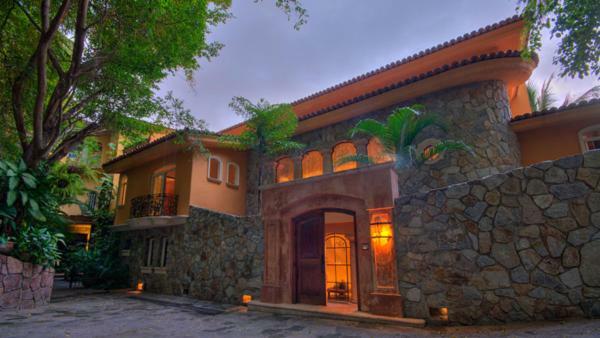 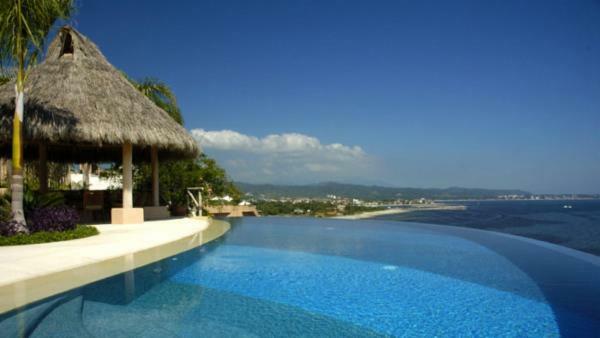 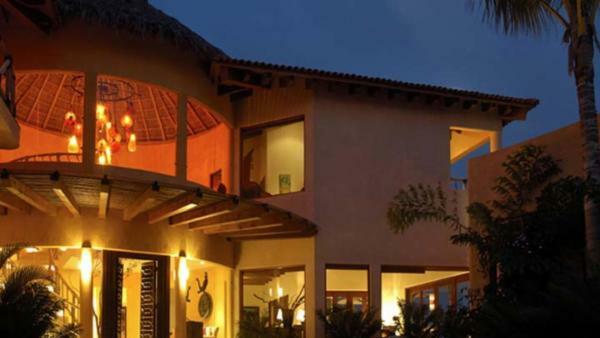 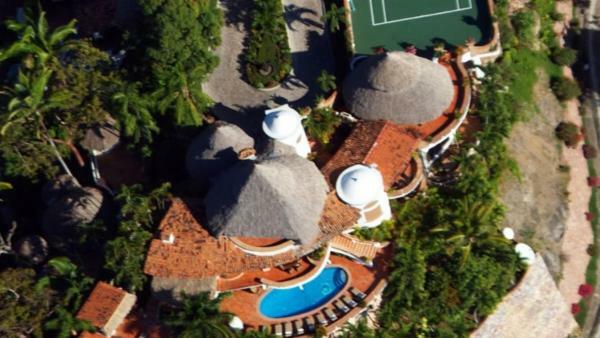 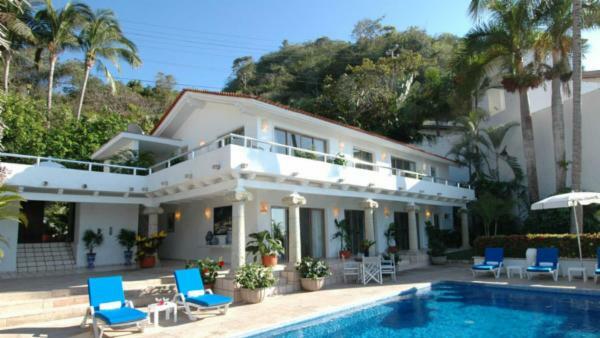 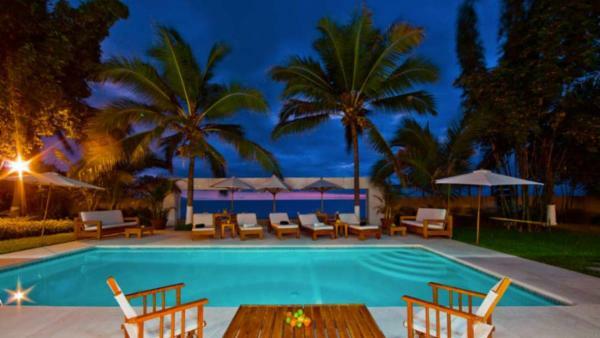 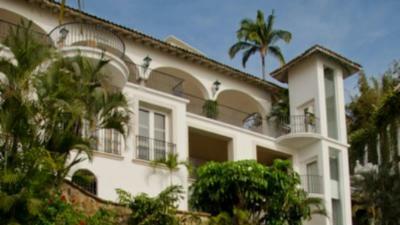 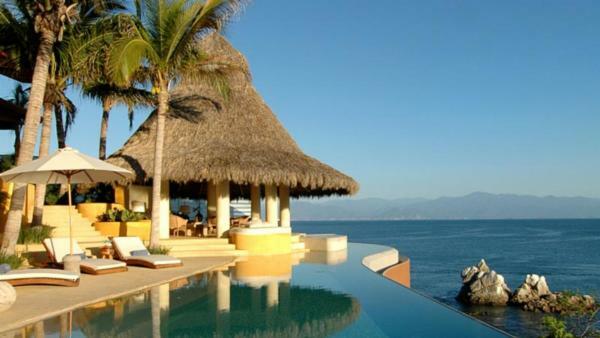 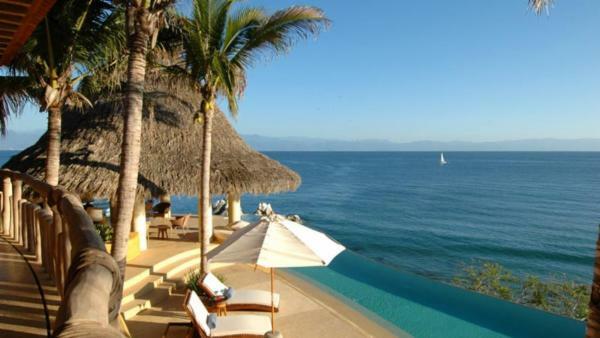 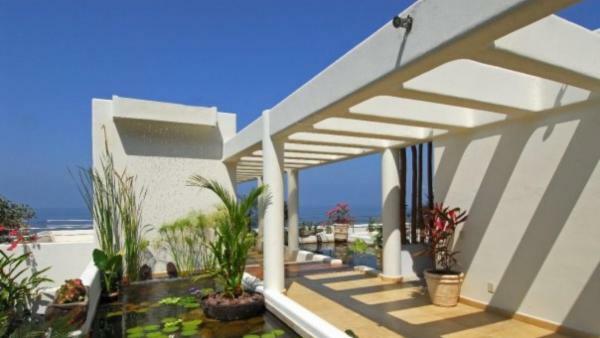 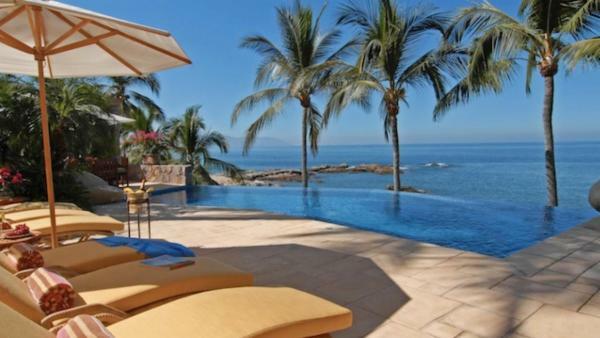 Choose from our luxury villa rentals to enjoy an upscale Puerto Vallarta holiday. 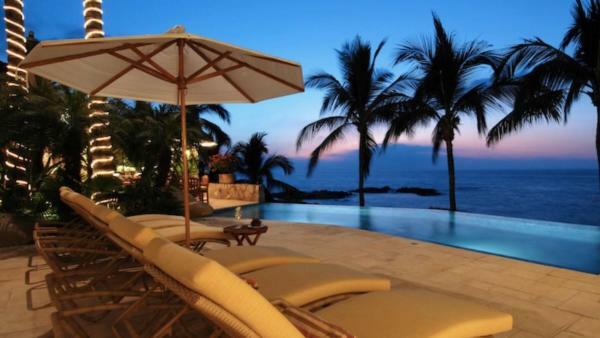 Rent one of Villaway’s private vacation homes today and get ready for a luxurious retreat to this treasured Mexico resort town.